Due to his non-stop partying, he was nearly expelled from Dickenson College. Twice. 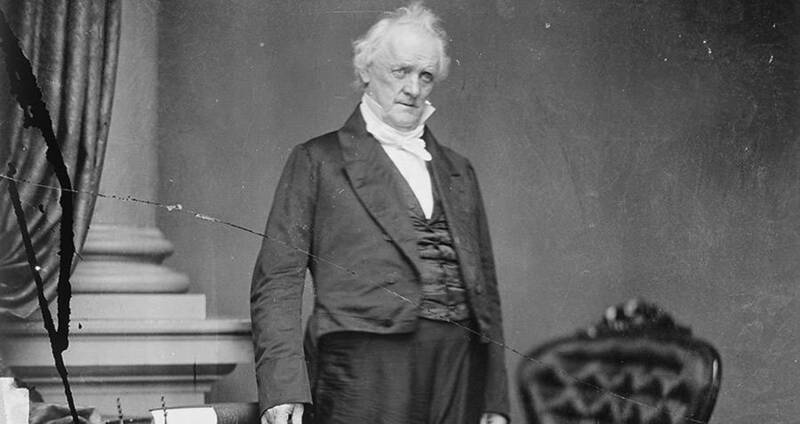 Pennsylvanian James Buchanan was the 15th commander-in-chief and also the worst president in U.S. history. His pandering to Antebellum Southern politics, indifference to slavery, and incapacity to unify America on the brink of dissolving have been listed as major factors leading to the Civil War. In spite of (or perhaps, because of) his dubious politics and hopelessness to lead the country, he could certainly have thrown a party to remember. 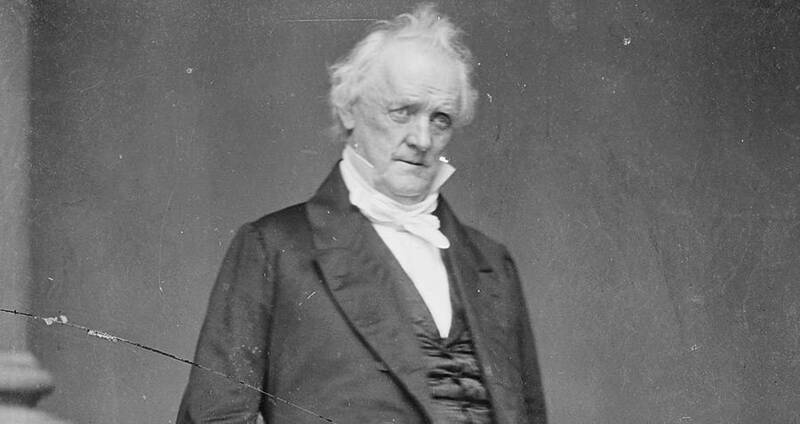 Behind the formal presentation and stern visage, James Buchanan was a party-boy par excellence. “James Buchanan’s collegiate record for ‘spirited’ rambunctiousness arguably rivals that of George W. Bush while a student at Yale,” wrote Mark Will-Weber in his book Mint Juleps with Teddy Roosevelt: The Complete History of Presidential Drinking. In fact, Buchanan was nearly expelled from his alma mater of Dickenson College twice due to his behavior. He was able to convince the powers that were to stay on, eventually graduating, opening a very successful law practice, and later becoming a congressman, senator, secretary of state, and president. Even as he acquired political power, he retained more than a taste for alcohol. 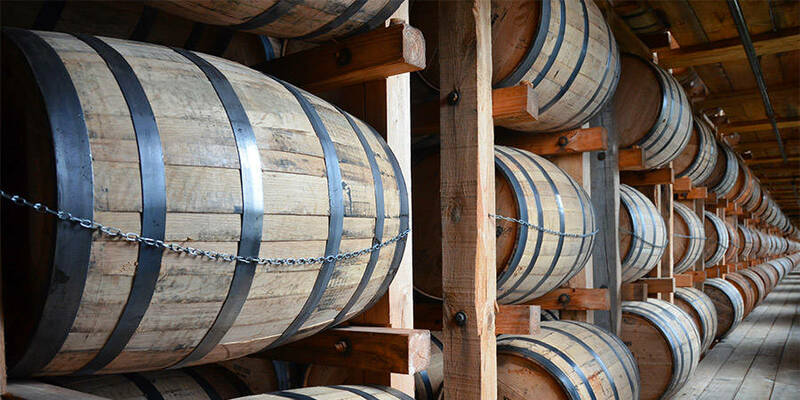 According to Jacob Baer, a D.C. liquor merchant, Buchanan would buy a ten-gallon quantity of whiskey every week. To put that into perspective, a standard shot in the States is 1.5 ounces. That’s about 860 shots of whiskey, per week (one imagines that Buchanan shared the wealth, but that’s still enough to keep the party going for some time). Like so many celebrators before him, Buchanan had his signature drink—Madeira wine. The drink gets its name from the Portuguese island where it’s grown and bottled, once an important stop for cargo ships between Europe and the Americas. The wine was fortified with brandy to allow it to survive the journey (a quality the president perhaps hoped to absorb) and would ripen and mature as the boats passed through the extremes of heat and cold, taking on a rich flavor. Despite his outlook, that very gluttony contributed to his diagnosis of gout, and later his death in 1868. After ceding power to Abraham Lincoln, Buchanan retired to Wheatland, his country home in Pennsylvania, where he spent his final years licking his wounds regarding his legacy and exculpating himself from the horrors of the Civil War–activities presumably washed down with plenty of Monongahela and Madeira.